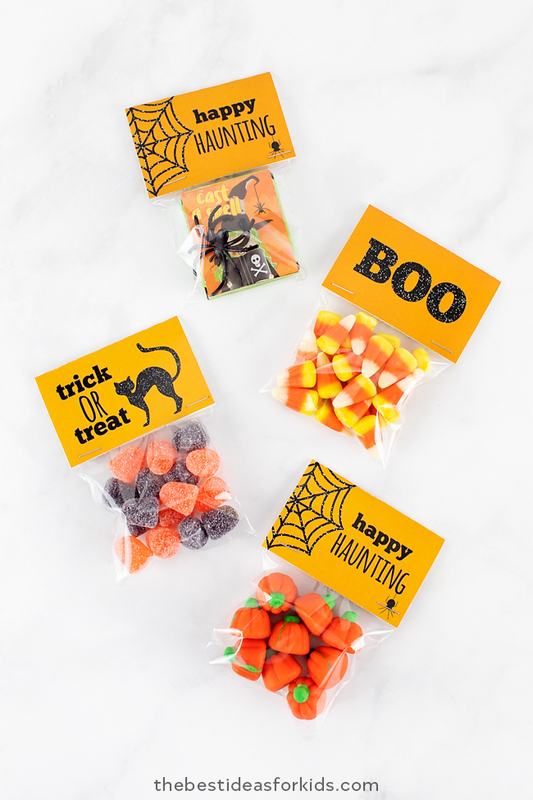 With Halloween just around the corner, we’re sharing these free printable Halloween treat tags. 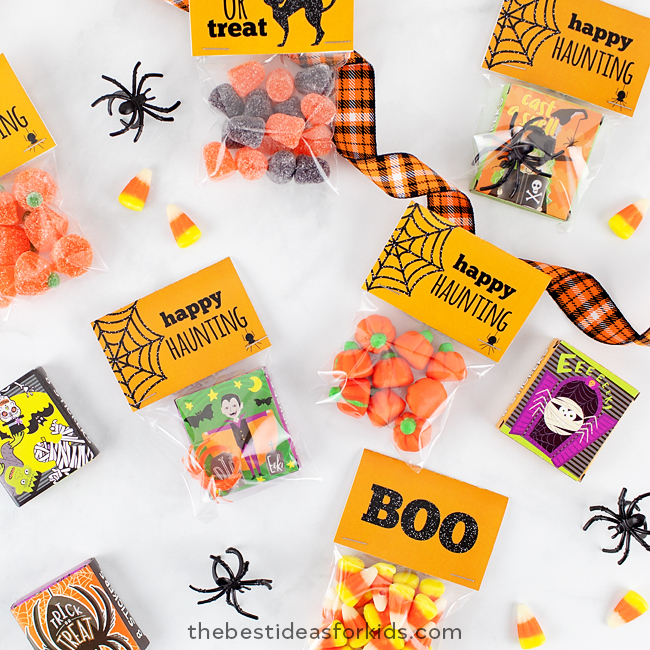 You can add these Halloween labels to the tops of little goody bags for Halloween giveaways or classroom gifts. These are so easy to put together and the kids can help too! 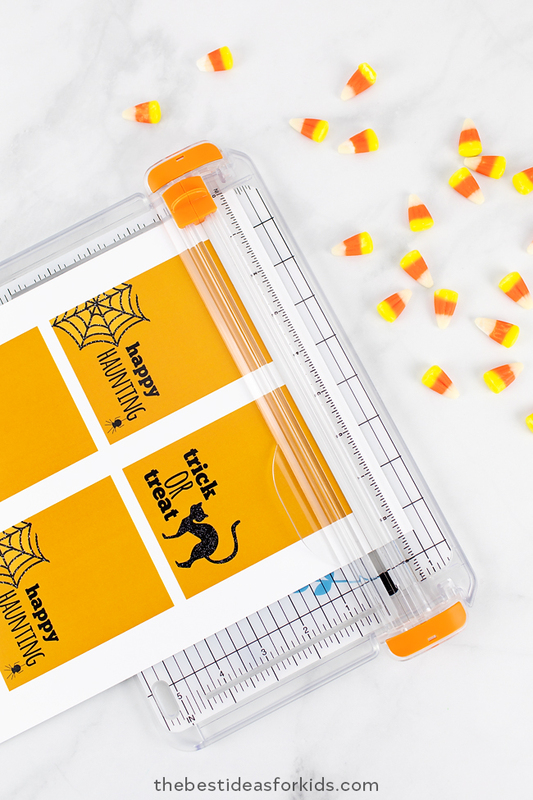 There are 3 different printable tags you will receive – Happy Haunting, BOO, and Trick OR Treat. Skip down to the bottom of this post to get them for free by subscribing to our newsletter. Make sure you’re subscribing to the form that has the preview of the tags. 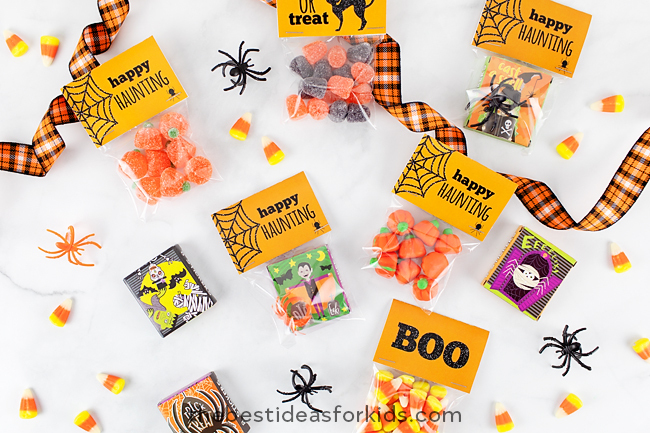 – Free Halloween Treat Tag printables – you can get these Halloween labels at the bottom of this post by subscribing to our newsletter (make sure you subscribe on the form that has the preview of the tags). 1. 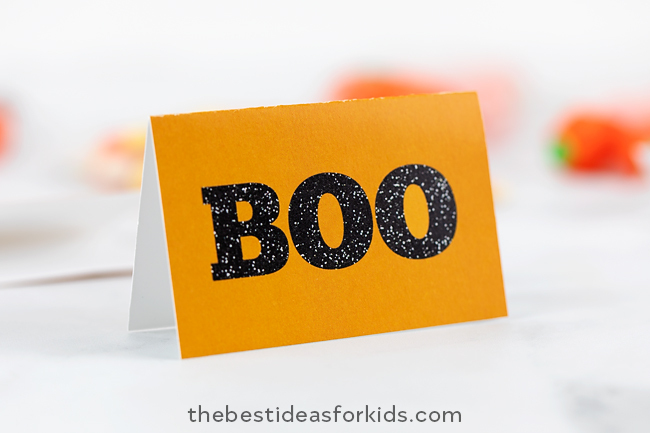 Print off the free Halloween tags on cardstock. 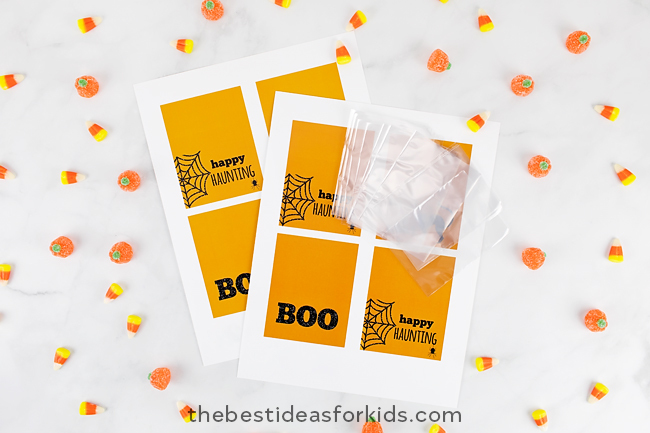 You can get the free printable Halloween tags at the bottom of this post by subscribing to our newsletter. Make sure you subscribe on the form with the preview of the tags. 2. Cut out the tags. We prefer to use a paper cutter so that the lines are straight. 3. Fold each card over. You can use a ruler to make the folding easier. 4. 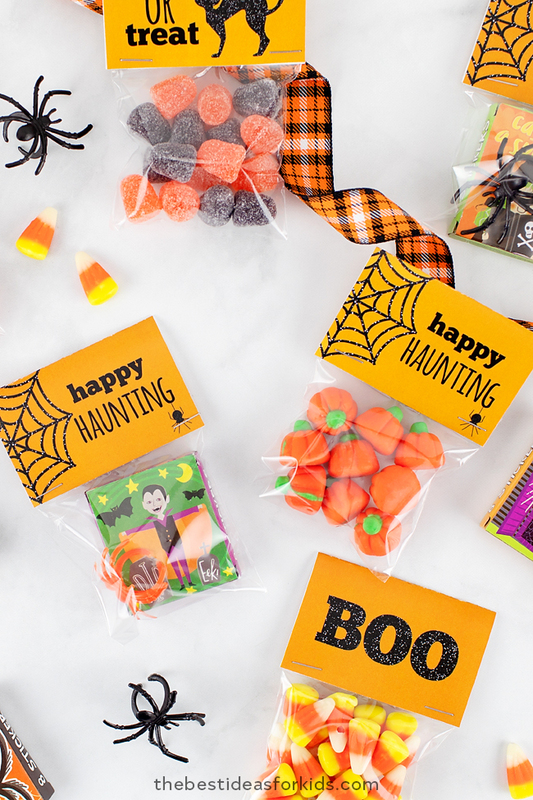 Add your candy into the cellophane bags and then staple the treat tags on top. Get the kids involved by having them fill the bags! 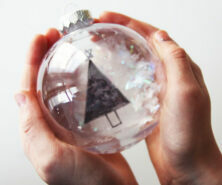 You can even put little Halloween toys inside like spiders and small books. For more Halloween free printables – see these Halloween printables for your front foyer or mantel. Kids will love helping to decorate the house for Halloween! 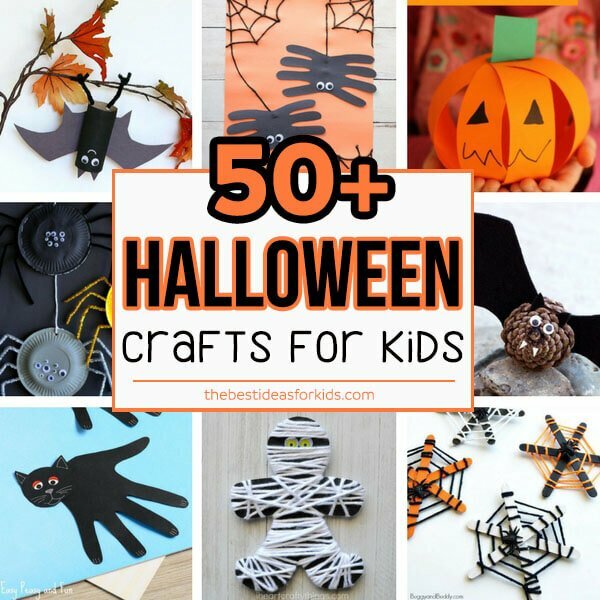 See over 50+ Halloween crafts – these are all easy and fun to do with kids! 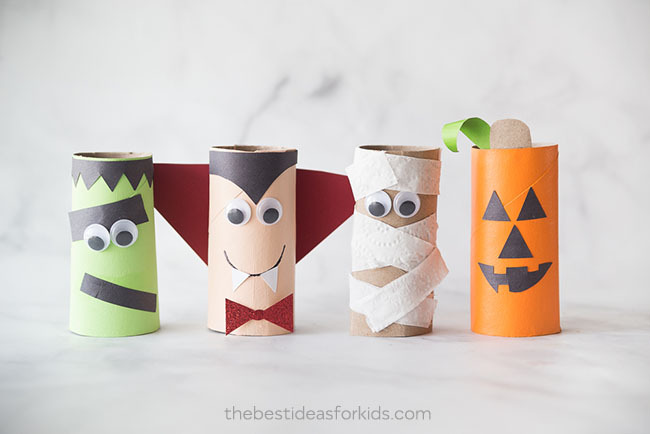 These Halloween Toilet Paper Rolls are so easy to make! 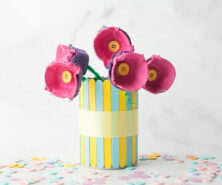 Kids will love making these! I love how a simple tag can add such an extra special touch to a regular bag of candy! It’s all in the details. Thanks so much for sharing! I LOVE free printables…thanks so much for sharing these! Pinned! I would choose the Boo Blocks! Super, super cute and black glitter always looks great against orange. I can’t wait to use these for some treats for our friend’s kids! Thanks for joining in on the hop. These are exactly what I’m looking for for my son’s preschool party! Thanks so much for sharing your printables! They are super cute! Thanks Valerie! So glad you’ll use them! 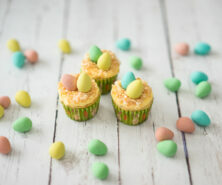 Love these sweet treat tags! These are adorable! Great project. Love these! Thanks for sharing this with us. I know my daughter’s class would love it. Glad you’ll use them Megan!